Raphael Neff built his business out of pure passion for the product, which led to its early and consistent success. But after years of running an unsystematic business, Raphael knew there must be a better, less frustrating way. He partnered with an EMyth Coach and set out to systematize his business and change the game—so he could focus more on what he loved. My brother and I planted the seed of our business as teenagers in the early 90’s. We used to sell chess sets to our friends, and we’d get our own supplies from Chess House, a small mail-order shop in Kansas City. 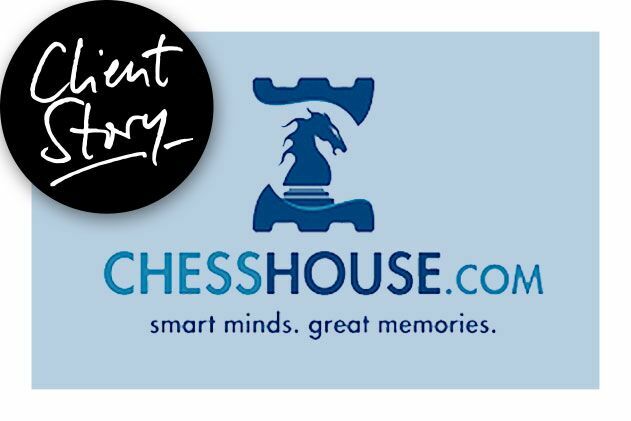 In 1994, our love of the game compelled us to buy Chess House and move it to Lynden, WA. When we started, we knew little about running a business, and our small company was growing at about 30% per year—with only four employees. Customer service situations were constantly arising and no matter how many issues we solved, more would come. The complexities of doing business and the situations we encountered were distracting each of us from doing what we loved. I knew there was a better way to run a business, but I felt uneducated. No matter how hard I worked, I did the same things over and over. I knew I had good employees, but I wasn’t equipping them with what they needed to succeed. I needed more resources and better tools to learn how to run the day-to-day and support my team. Coming to EMyth brought structure to our grassroots business. My Coach helped me focus. For every issue that came up, she’d ask, “How does this impact your business? What are the indicators telling you?” She helped me approach business in a practical way, and I began to see the exact areas that I needed to work on. For example, we now have a systematic process for both our Lead Generation and Lead Conversion channels. These areas are far clearer to me than they ever were before. We also now understand the power of innovation, quantification, and orchestration, and are implementing these ideas in the company. We know how to quantify our internet marketing efforts and make intentional moves. We don’t embark on new marketing avenues unless we’re actually quantifying them and assessing the return on investment. One of the biggest changes to our business is how we view and empower our employees. Now, every position has its own systems and documentation. My employees know what they should be working on and what their responsibilities are, and I know that they are equipped to perform well on their own. We now see everything in the context of the company as a whole, giving us greater organizational clarity and objective reasons for building on it, better structure, and more purpose. Best of all, I don’t feel tied to the business out of obligation. Instead, I’m there purely out of the desire to be there and to improve the company. I have a mental freedom that I didn’t have before. The week-to-week meetings with my Coach have been a great help. They always refocus the development process. Having an EMyth Coach means having someone you can share challenges with—someone who can put those challenges into a different context and help you think strategically about how to address them. My Coach taught me to think like an Entrepreneur: to strategize and to discriminate, because there’s only so much time to get things done. Coaching gave me a stress-free way to view my business. I now know why I’m here. I know that I can either work in my business or on it—and I maintain a clear distinction as to which I’m doing in any moment. If I want to, I can be a Technician and I can do the work because I like to do it; or I can manage people and help them understand the work that needs to be done; or I can work on the strategy and innovation. When I started the program, I wrote down my goals and expectations. Now, even when we’re not meeting those goals, I have them to look to as a guide for my choices. We’re progressing, our efficiency is up, and we’re always improving.